Don't you love it when the moon is actually a well-shot, ceramic dinner plate? Another reason I love college. 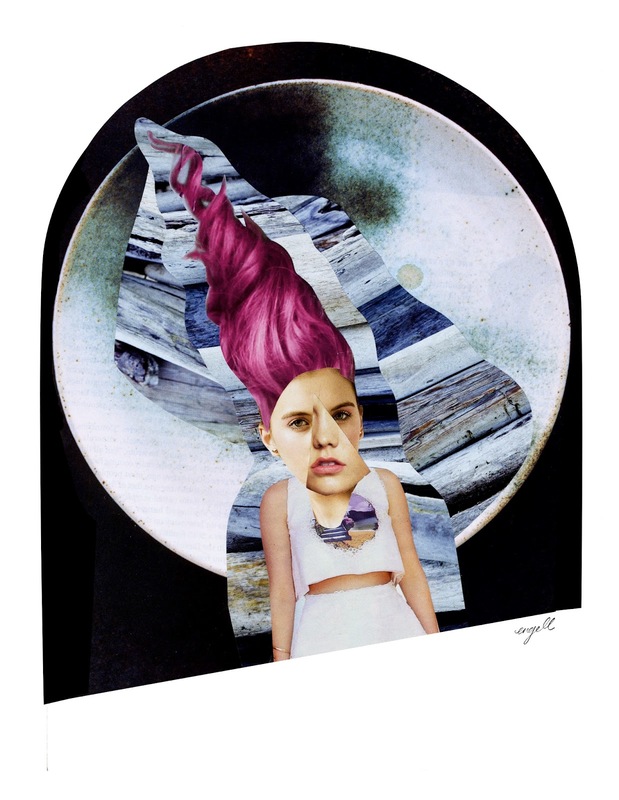 This is my "troll-doll-esque" Moon Woman collage from earlier this week. I have always been a sunshine kind of girl, but lately I have been venturing into moon and night time imagery. Coincidentally I have had this Homeshake song stuck in my head all week, though I am not sure which came first: the song in my head, or the Moon Woman collage!